It’s getting to the time of summer when it seems that what I want more than anything is a cool drink in my hand. 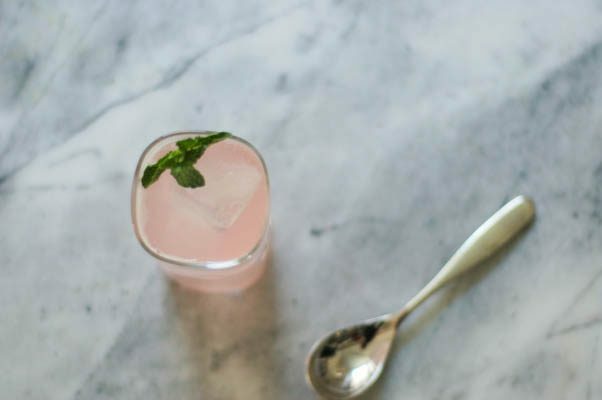 It can be anything from water to lemonade to cold brewed iced tea, but something I’ve done more and more in the last few years is make homemade syrups to add sweetness and flavor to sparkling water for my own not-too-sweet homemade sodas. I prefer sodas with a flavor that can balance the sweetness of the sugar. 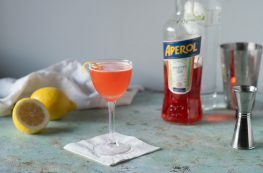 Citrus syrups are winners for this, as are things with spices like ginger or cardamom, hints of floral flavors like orange flower water, and aromatics like lemongrass. 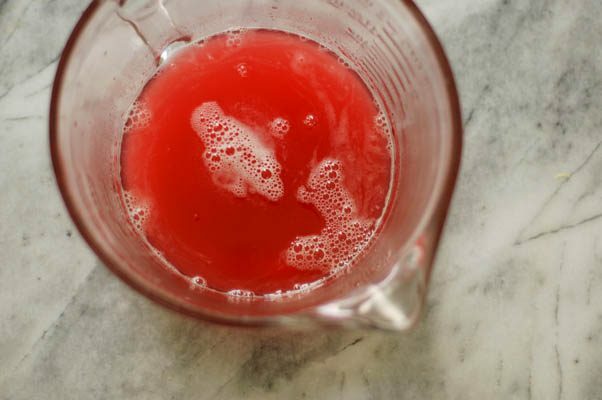 One of my favorite syrups at this time of year is made with rhubarb. I love rhubarb’s puckery sour flavor. It works well for a soda that isn’t a candy-level of sweet. I also love the way it turns the syrup a brilliant deeply saturated shade of pink. It’s a color we don’t get naturally in food very often, and it’s lovely to look at. Syrups like this are a snap to make. 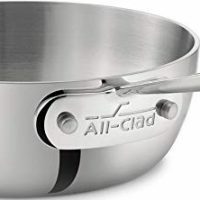 It’s a simple matter of simmering some kind of flavoring with equal parts sugar and water until the sugar dissolves and then allowing it to cool to room temperature before straining it at storing it in an airtight container. 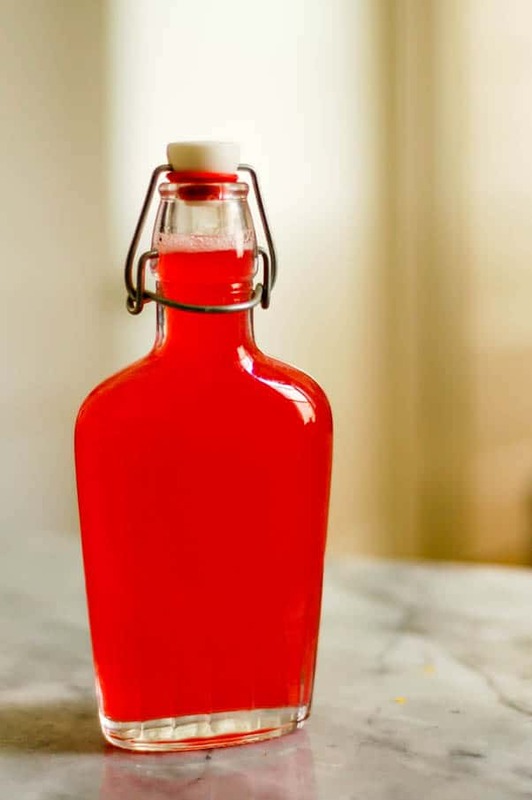 For this syrup, I just chopped up a few cups of rhubarb and tossed it in a saucepan, zested a lemon for some extra brightness, and poured some sugar and water over the whole thing. I let it simmer for about 15 minutes, long enough for the rhubarb to turn soft and release its juices into the syrup. Then I strain it through a chinois, which is a fancy extra-fine mesh strainer, but any fine mesh strainer will work just fine. If you want to be extra careful about straining out the tiny thready rhubarb bits, you could line a strainer with cheesecloth. Then I let it cool and funnel it into a bottle and have it ready in the refrigerator for whenever I want one of those cool summer drinks. 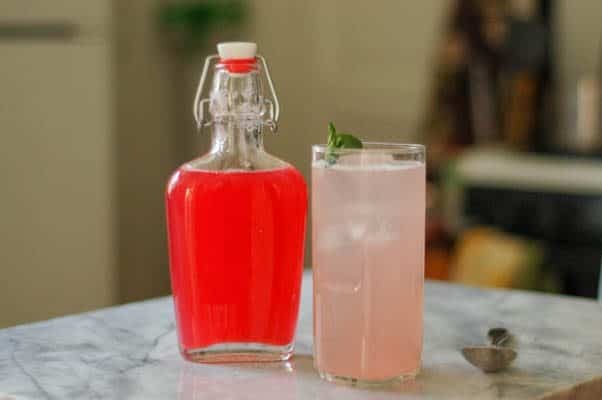 If you’re looking for something other than pie or crisp or compote to do with rhubarb, this is a great option. 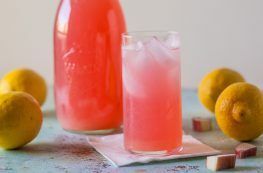 I love this rhubarb syrup in soda water, but it would also be great in cocktails (especially with gin) or poured over vanilla ice cream or added to black iced tea for a little extra sweetness. 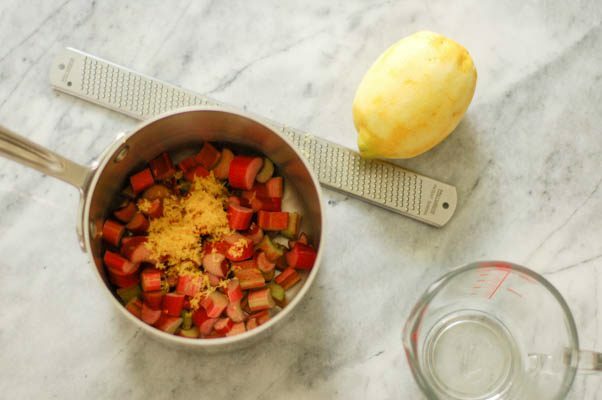 Add the rhubarb, lemon zest, sugar, and water to a medium saucepan. 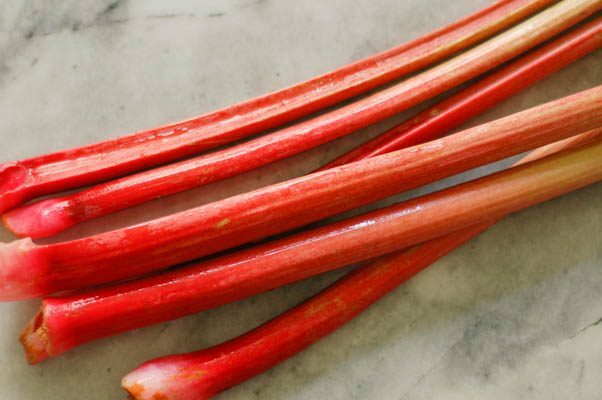 Bring a boil, reduce heat to low and simmer for about 15 minutes, or until the rhubarb is slumped and soft. Remove from heat and let cool to room temperature. Strain through a fine mesh strainer and store in an airtight container in the refrigerator. At least a couple of weeks, or up to a month, in the refrigerator. You can extend the life by adding about an ounce of vodka. If you see mold or it smells like vinegar, then toss it, otherwise it should be fine. Can u do in the instantpot?